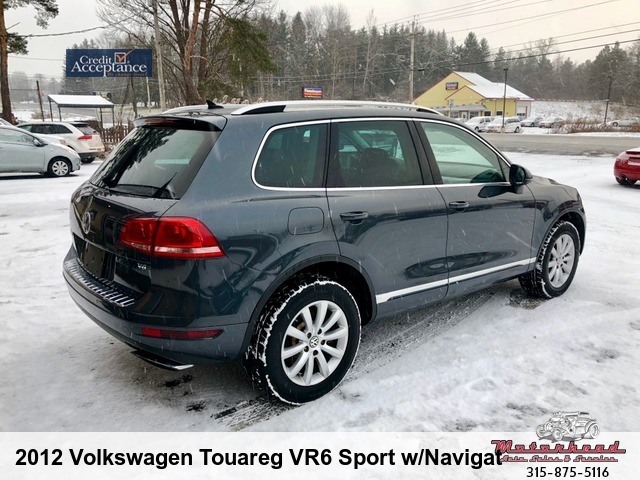 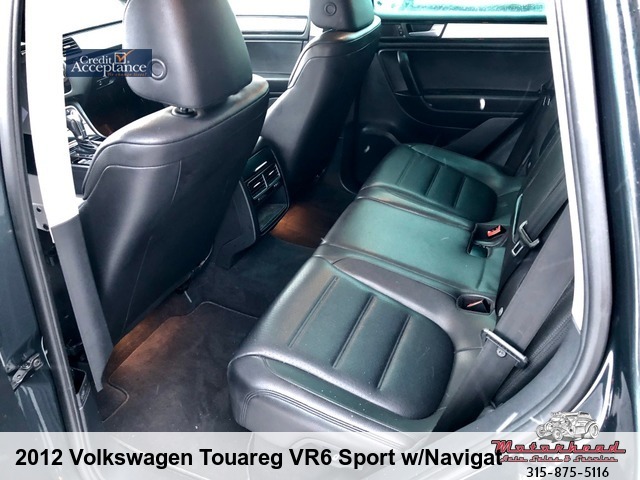 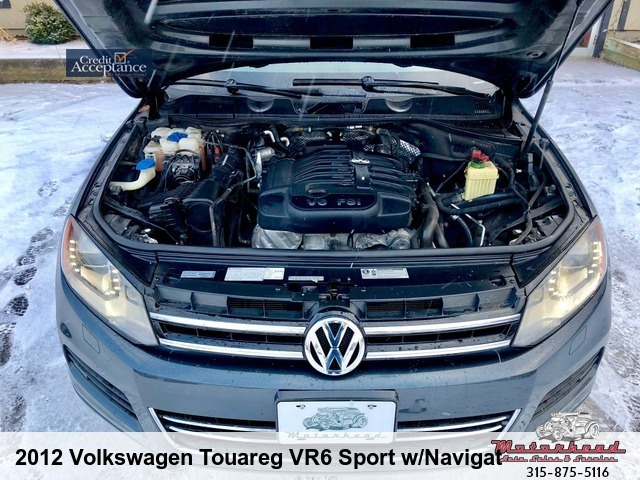 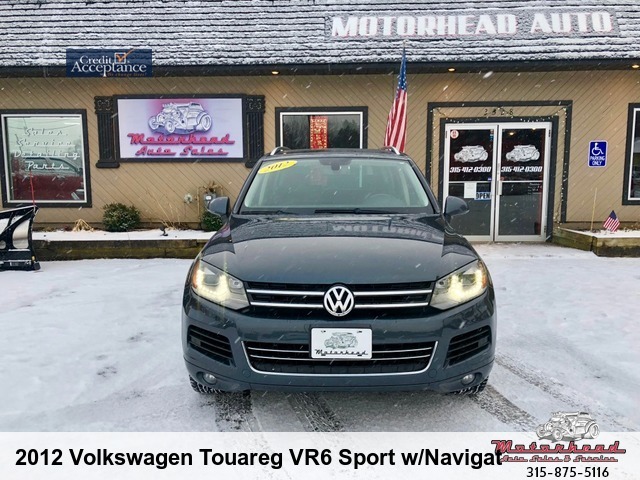 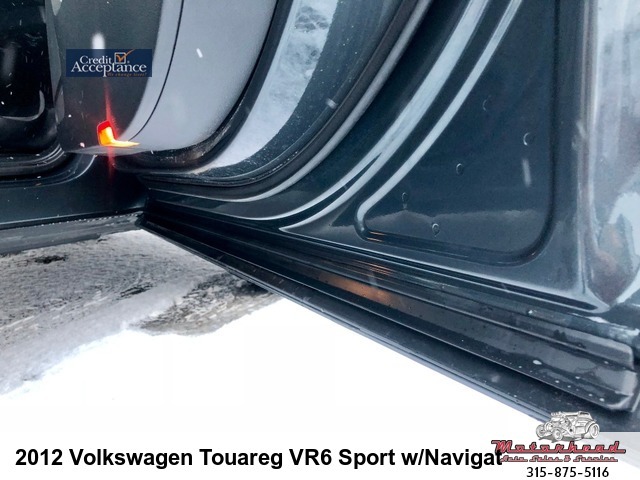 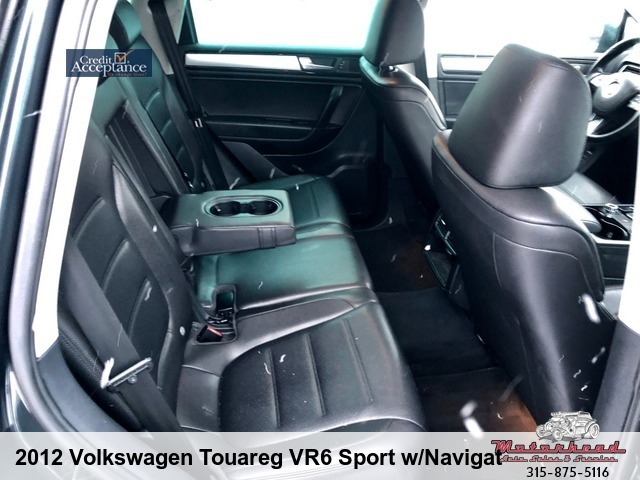 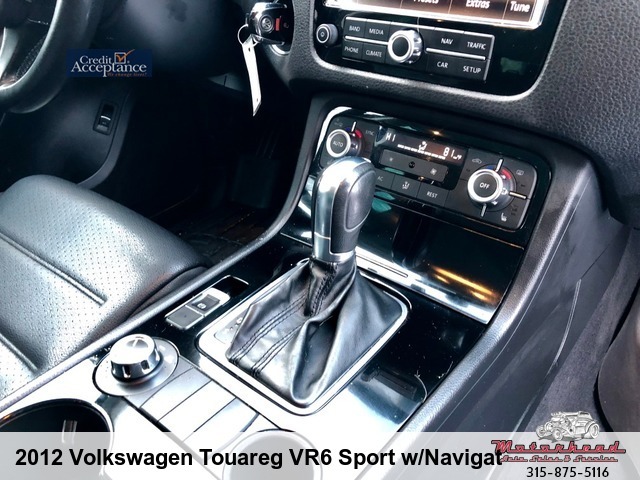 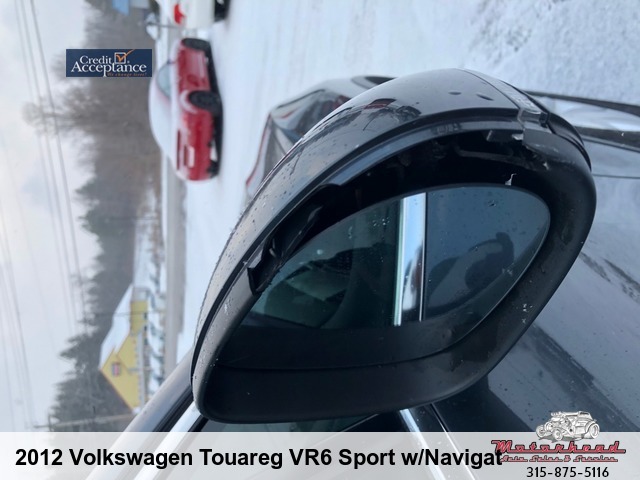 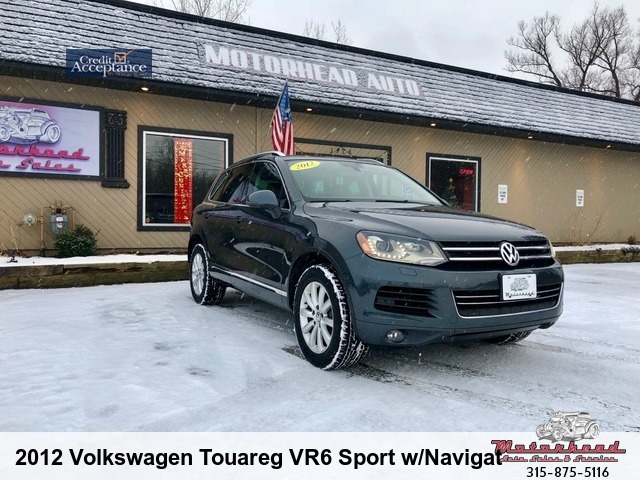 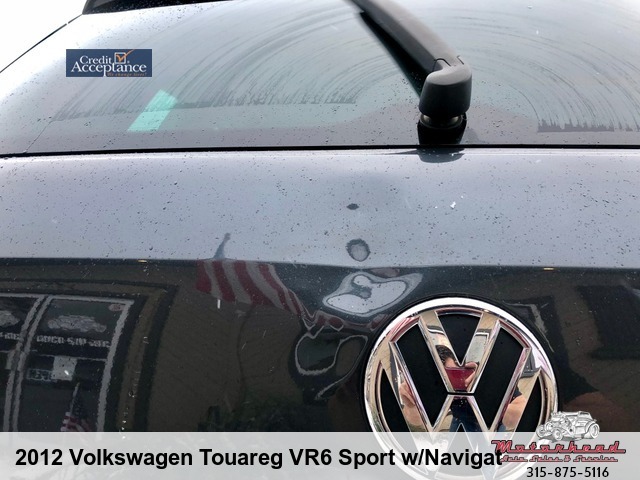 2012 Volkswagen Touareg Luxury VR6 AWD, in Dark Flint Metallic, 100k miles, VR6 280HP, All Wheel Drive, 8-Speed Automatic, Leather, Premium 8-Speaker Sound System, Touch Screen Navigation & Entertainment System, SiriusXM/AM/FM/CD/AUX/USB, Heated Seats, Beverage Cooler, Heated/Power Mirrors, Audio/Cruise Steering Wheel Controls, Power Seats, Remote Window Operation, Auto Dimming Rear View Mirror, Tilt & Telescopic Wheel, Turn Signal Mirrors, Folding Rear Seats, Front WeatherTech Mats and Rear Rubber Cargo Mat, Xenon Self-Leveling Headlamps, Selectable OnRoad/OffRoad Differential Settings, Child Seat Anchors, Front & Rear Head Airbags, Dual Front & Side Airbags, Fresh Fluids and New Tires. 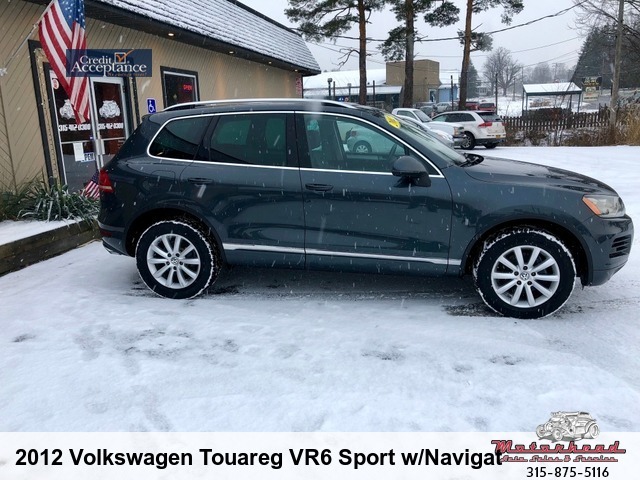 If you have been waiting for an affordable, clean, late model Touareg to pop up, we have just what you have been looking for. 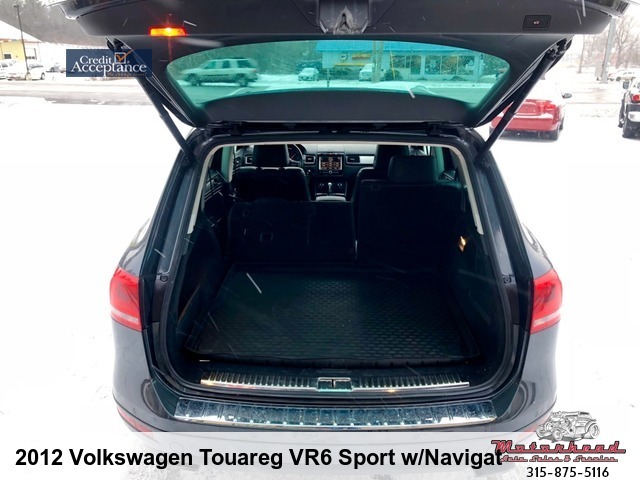 This is the Luxury model, loaded to the gills with an impressive equipment package. 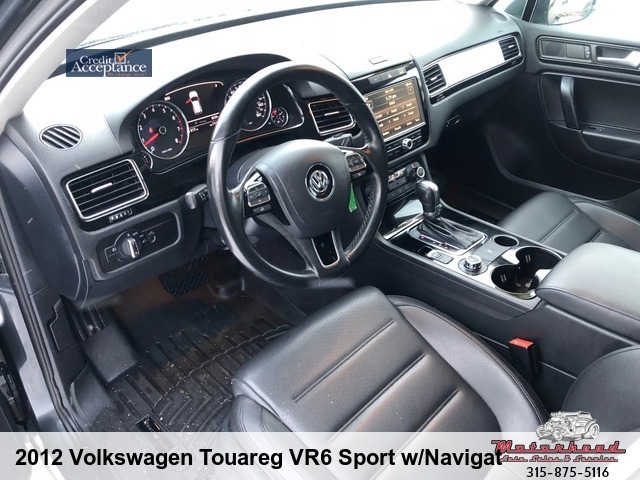 Everything from the easy to use navigation, down to the beverage cooler on this rig screams luxury sport utility. 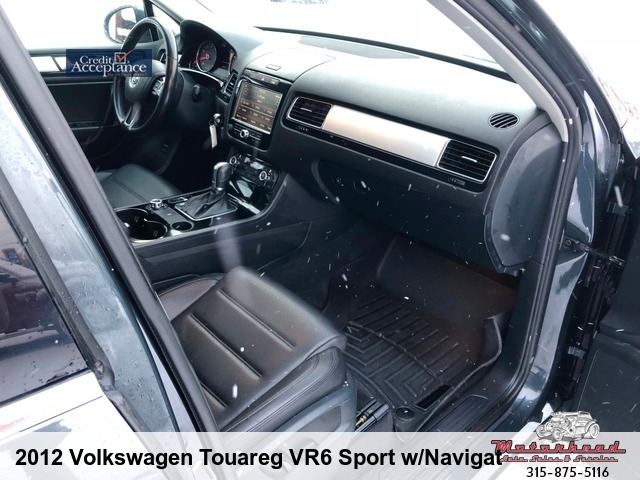 Absolutely no visible wear on any of the interior finishes; no smells or stains of any kind, very well kept. 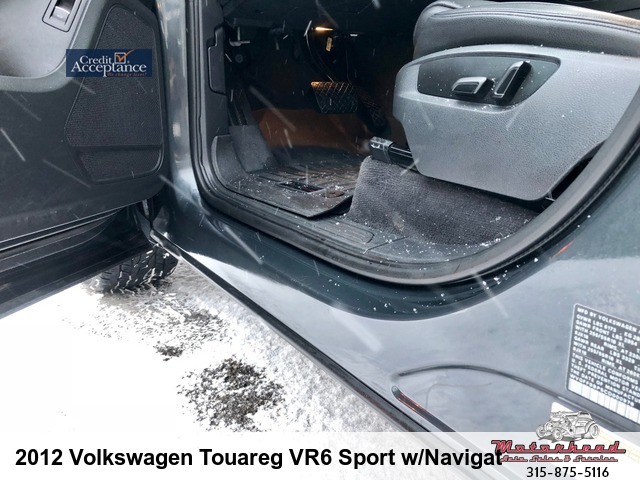 The exterior is completely free of corrosion top to bottom but does have a few small blemishes: small dent exists on the rear tailgate, the passenger mirror is missing a bit of plastic trim (photos have been taken of both for your viewing). 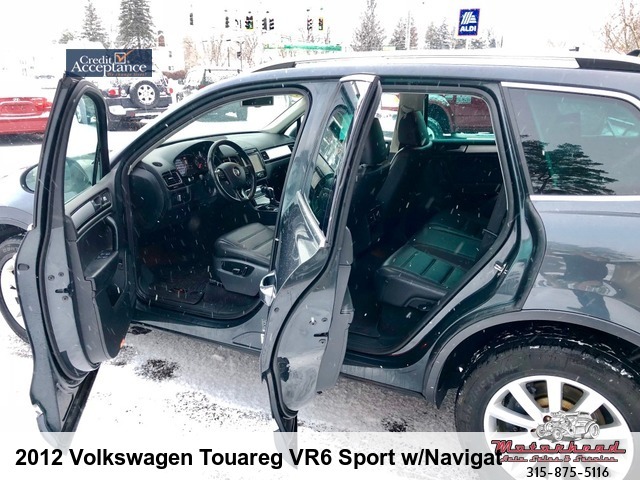 Those few blemishes aside this is an extremely well maintained and clean Touareg. 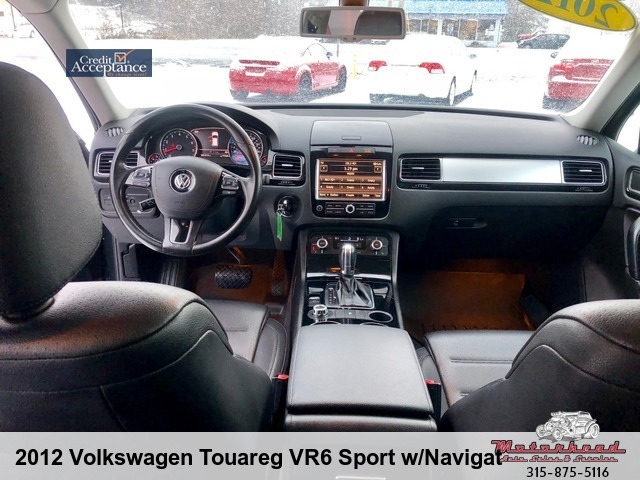 The VR6 motor is one of the best in its class for efficiency and power output, making almost 300 horsepower and getting this loaded SUV up to 24 miles per gallon on the highway. 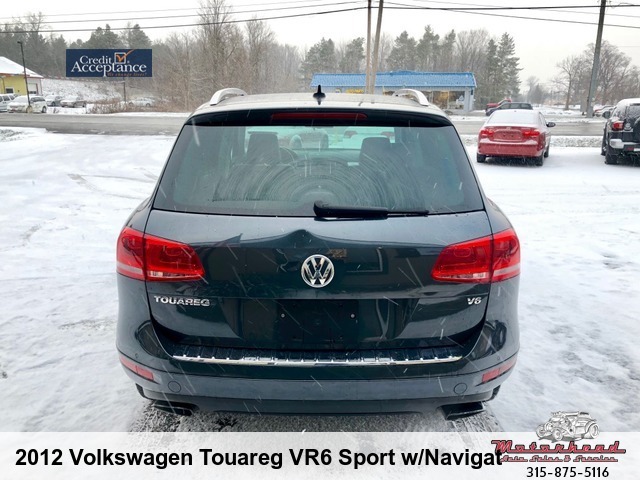 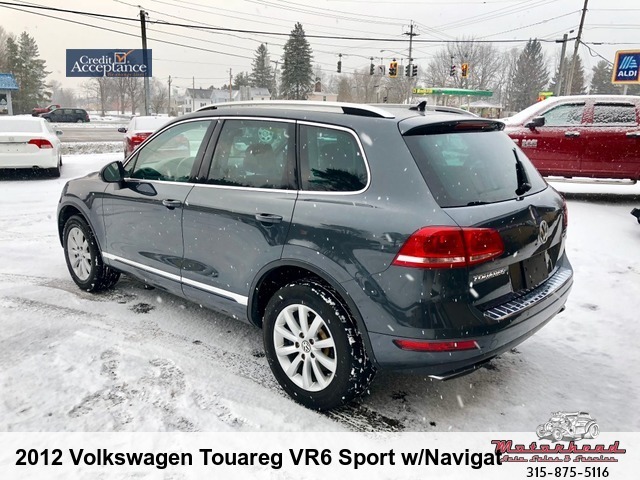 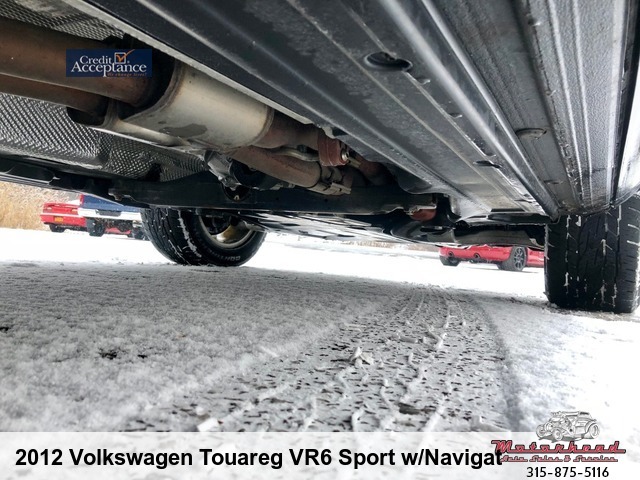 This combined with Volkswagens impressive all wheel drive system is sure to help take you wherever your heart desires in almost any conditions. 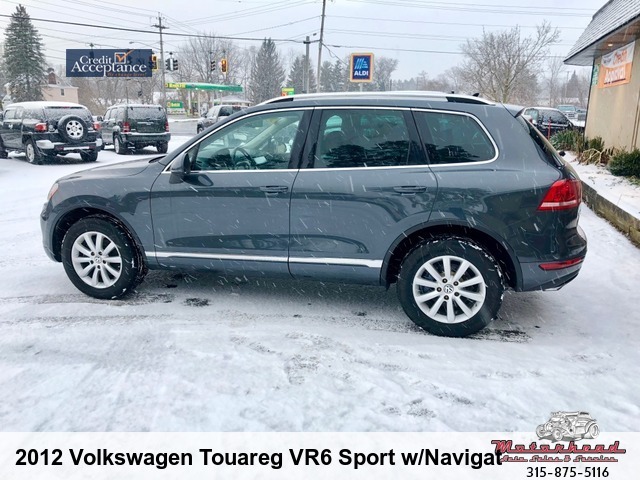 This Touareg will undergo a 100 point inspection for worn items before it goes, 3-Month SiriusXM Subscription and come with a 24 Month, 27,500 Mile powertrain warranty. 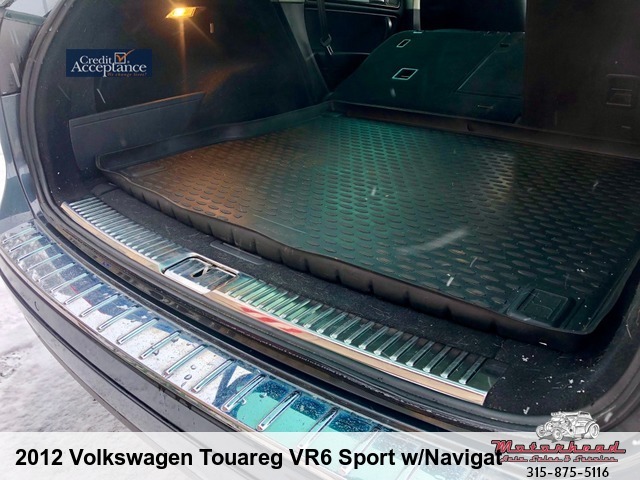 Cash price is only $14,950! 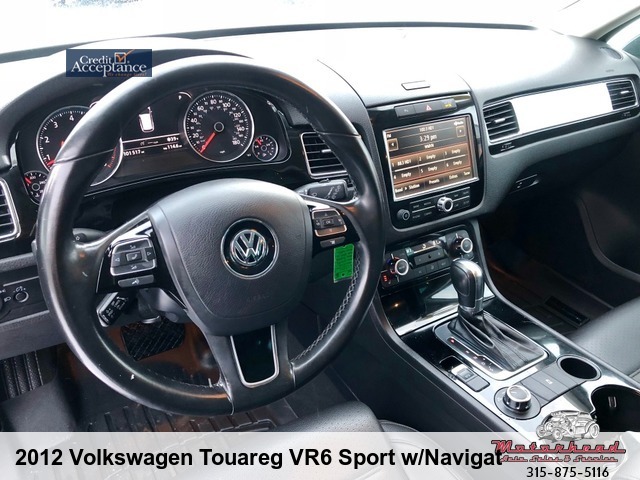 That's $1,200 below book value, with all those extras how can you go wrong!? 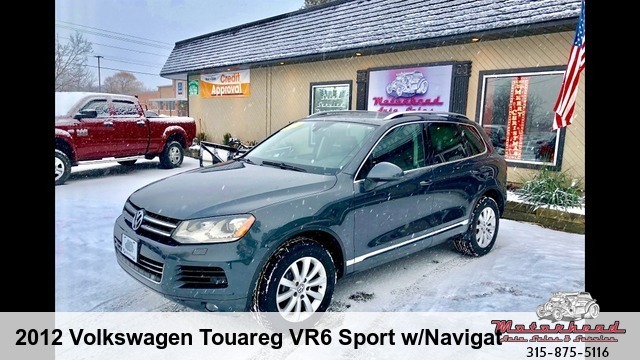 Hurry down and see this beautiful truck before it's gone.